One of the most stressful times in our lives will be associated with a move from our present location to another home, whether an in-town move or out-of-state/country move. I have included below a list of suggestions from our home seller/home buyer books we provide that have helped our former and present clients in their upcoming moves. Decide what to move and what not to move. Possibly have a garage sale or better yet, donate your unwanted goods to your favorite charities. Plan your travel itinerary and make lodging reservations in advance. Request records from Doctors and Dentists, Eye Doctors, and Veterinarians. Obtain your children’s school records to make for an easier transfer. Record expenses incurred during house hunting trips. If your move is job related, a portion of travel/moving expenses may be tax deductible. Get estimates from local moving companies or truck rental companies if you plan to move yourself. Draw up a floor plan of where your furniture should be placed in your new home. This will help avoid confusion for you and the movers. Make arrangements for transporting plants and pets. Some states forbid transporting of either across state lines. Ask for referrals in the new location for Doctors, Dentists, and other professionals. Obtain a list of service providers and utility companies' phone numbers and enter them in your address book, cell phone, or PDA. Notify others of your new address: post office, banks, charge accoutns, subscriptions, relatives and friends. Also contact national and local alumni associations, church, and your past employer so that W-2 information won't be delayed when you need it most. Keep a copy of the phone book from your old city, since this will help you find the numbers and services you need after you leave your present area. Transfer insurance policies or arrange for new policies in your new location. Notify retirement account managers, stock brokers, insurance agents of your new location before you depart. Gather all valuables, jewelry, important papers (birth certificates, deeds, documents pertaining to closing, wills, and tax returns) to take with you personally. Digging through endless boxes to find one document is extremely frustrating and time consuming. Have your car serviced for the trip, and have your AAA card, Chevron travel card, or other roadside assistance information handy in case of car problems along the way. Make sure your car insurance and title/tag information is in your glove box in the car, as is required by many states. One of your best friends during a trip is your local Realtor in your previous location and a referral Realtor in the next location. Information about your new location, cost of living, rental rates, home availability, and many of the previously mentioned tips can be provided for you before you leave. Don't know who to call? 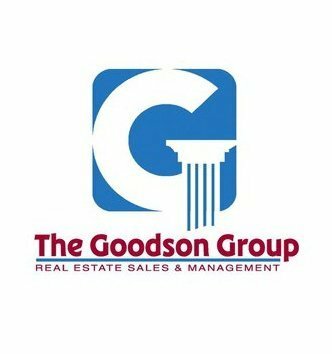 Call the Goodson Group and we can contact home-town experts in your new location that will enable you to have an enjoyable moving experience!